I think we have reached the epitome of pumpkin spice in that now most people consider it its own season. This year, Starbucks released their PSL the end of August, the earliest its ever been. From a business perspective, it makes sense to supply if there is the demand, and it looks like there is. Here in the D.C. area, its currently 100 degrees with dew points in the high 70s, which is a fancy way of saying that humidity has reached an time high and its hotter than I think its ever been. It is so sweltering that our windows are covered in a steamy, summery mist during the early morning hours. 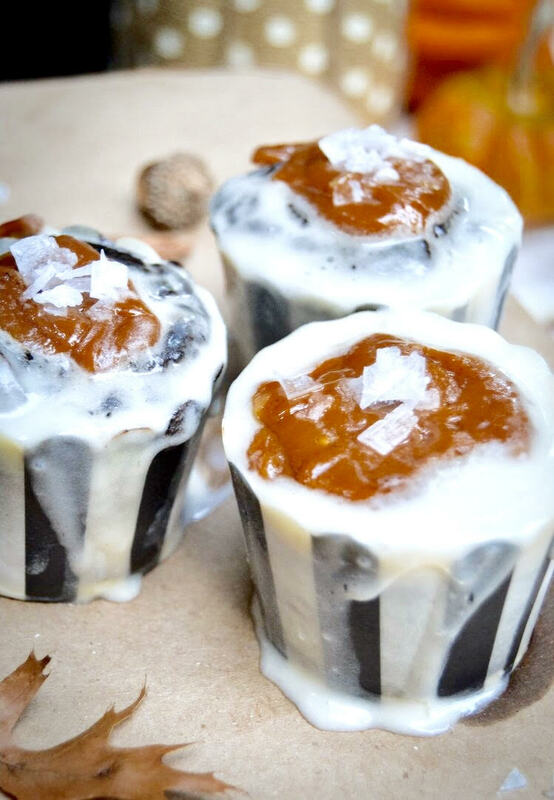 Chocolate Pumpkin Spice Cupcakes with Vanilla-Salted Caramel Glaze.